So, just as with %slope, the Tslope multiplier (66) becomes the denominator. Figure 2.8. 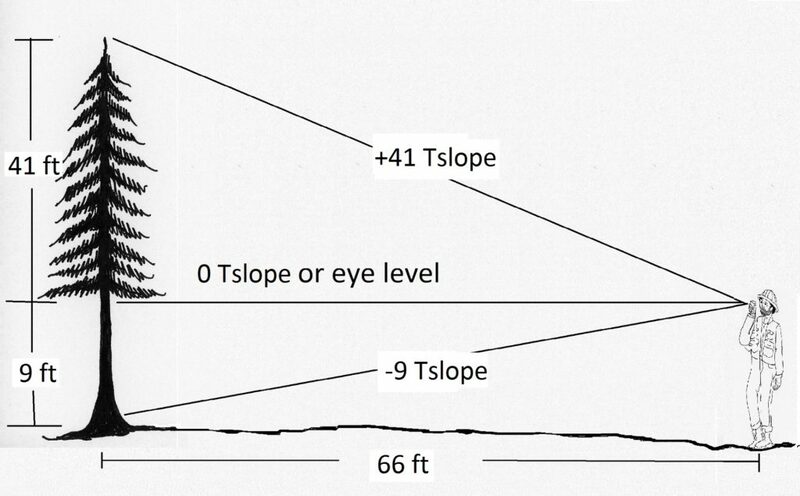 If Jake walks out a horizontal distance of 66 feet (one chain) from the tree, his run will equal the Tslope multiplier. The 66 will cancel out, and he can simply add his top and stump slope readings together. rise (height) = 50 feet.